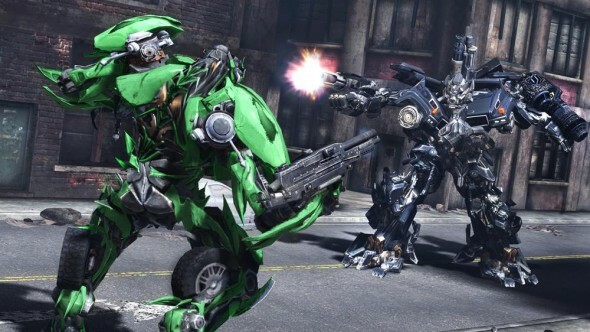 The Michael Bay Transformers movies have had a very mixed reaction, and while your mileage may vary on how good they are, they’re fun to watch; even if you’re laughing at it the entire time. 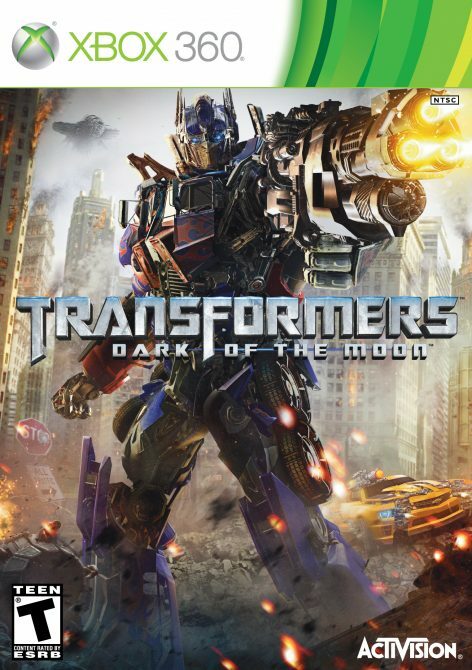 That essentially sums up my entire experience with Transformers: Dark of the Moon, which is of course the latest game in the series which shares a name with the upcoming movie. As is becoming more of a trend with licensed games recently, the game is actually a prequel to the movie, bridging the story after the second. 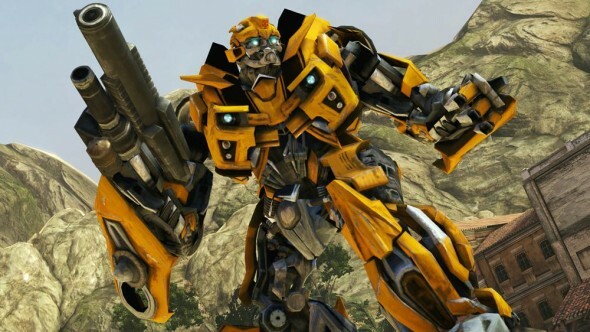 A third person shooter with giant robots that turn into cars and explosions everywhere, based on a movie that’s based on a toy. What could go wrong? Last year saw the release of Transformers: War for Cybertron which was a fairly successful game created as an original entry; sharing nothing with the current movie franchise. War for Cybertron was a pretty good hit and enjoyed by many people, apparently even the people in charge of the franchise as High Moon Studios were brought back to make the game for Dark of the Moon, and as such it shares a lot in common with that game. Ultimately, Dark of the Moon‘s greatest strengths and faults both stem from this fact. The game feels to at the same time be both a natural expansion of it’s predecessor as well as a scaled back version of it. From the beginning, Dark of the Moon sets itself up as a cover based third person shooter, and the controls feel completely natural. The biggest problem with this is that despite the games constant insisting that you find cover when damaged or to avoid fire, there is no cover button and you’re left to the “Call of Duty Method” of awkwardly crouching behind things and hoping you’re not killed by a stray bullet to your ankle. One of the easiest ways to avoid damage is with the new “Stealth Force” mode which bridges the gap between your robot and vehicle forms. In fact, you never truly enter your vehicle form in Dark of the Moon, instead when you switch forms it swaps between your robot and stealth force modes. The stealth force is basically an incomplete vehicle transformation, without the restrictions of earth vehicles like only driving in one direction and with the added benefit of access to some weapons. To truly ‘enter’ your vehicle form you simply hold the left trigger and now you’re much faster, but less mobile and defenseless. This creates a nice balance in forcing you to decide which way you want to get around, as the robot form has better weapons and more of them, but is much slower. 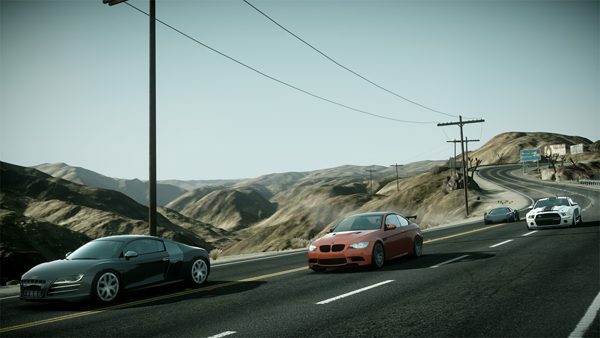 Driving as a vehicle is the only spot where the controls can feel a little off, as the turning controls change to your right stick instead of the left which can be a little jarring. Throughout the campaign you’ll play as a number of different characters, each of which play vastly different from each other. 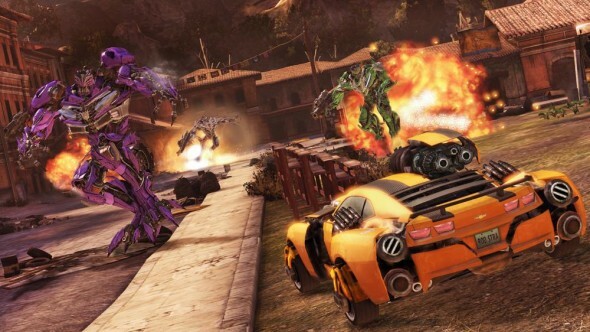 At roughly the halfway point you’ll even switch sides and play as some of the more iconic Decepticon characters including the big boss himself, Megatron. The problem with this comes in that at the start of each chapter you’re forced to learn the new character you’re using, and the beginning of each level feels like a mini-tutorial. The game is so focused on throwing something new at you each turn that you never get a chance to play with what you already had. The different levels themselves do have a nice variety to them though. 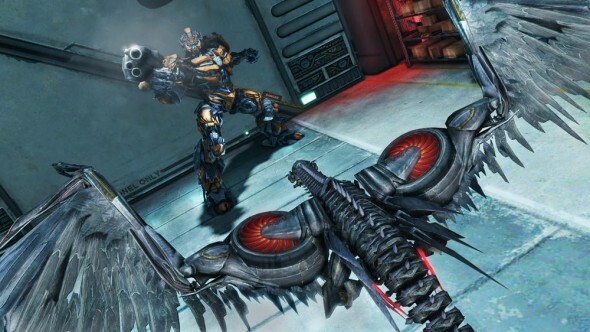 Playing as Ironhide, you have access to his larger guns and more destruction options than most other characters, but are warned to keep collateral damage to a minimum. The level as Mirage on the other hand is more of a stealth level with his cloaking feature. Even if the environments aren’t very memorable, the same can’t be said about the distinct gameplay differences as each different character. The campaign as a whole feels a little aimless though, and while you are always given an objective it often just feels like “Progress to Point B, eliminate all resistance along the way.” Oddly enough, even on the normal difficulty the game can get pretty hard at times. The sheer number of enemies being thrown at you can be overwhelming, and death is never far away. Difficulty in itself isn’t a bad thing, but many cheap deaths are going to be had and those are always frustrating. With death comes one of the most aggravating parts of the game; the dreaded loading screen. This nasty beast will rear it’s head often and it is just long enough to be annoying every single time. Of course this is something you only have to deal with between chapters or when you die, but there’s one level in particular that for some reason just loads constantly. Every three minutes or less the action pauses to load some more, and the level in question isn’t any more intensive than the others in the game. Rounding up the list of disappointments for the single player campaign is the ending which simply comes all too soon. You finally get to take control of Optimus Prime for the final boss fight, and just as things are really beginning to get interesting the game comes to a screeching halt. Of course being a tie-in for the upcoming movie it’s expected that all the major players are going to survive and you’re not going to “win” the war, but that doesn’t excuse the abrupt end. The multiplayer offering in Dark of the Moon is a rather large selling point for fans of War for Cybertron‘s fan-loved outing, but just like the rest of Dark of the Moon it falls just a bit short of being more than acceptable. Each of the five classes you can choose offers one or two choices for each team, and each one has different weapons than it’s counterpart. So while the Autobot might get a shotgun, the Decepticon of the same class will come with a handgun. While the customizable assets of each class are the same no matter which team you’re on, this can create some balance issues as some characters are just better equipped than the same class on the opposite team. As you progress you’ll unlock more abilities, all of which are superior to the lower level ones making them all but useless. This means that newcomers are left struggling against high level players, as your abilities and weapons just can’t compete. Frustration sets in early as everything is immediately stacked against you if your enemies are a higher level, and some of the different classes are simply not suited for certain levels. In particular choosing the “Hunter” class (who transforms into a jet on either team) results in awkwardly floating around cramped indoor levels, while absolutely dominating outdoor ones. Of course reaching max level on any given class is just a matter of playing a handful of games. Each class levels up on it’s own as you play as them, but it won’t be long before you have all of them (or just the ones you want) up to the max level of 20. 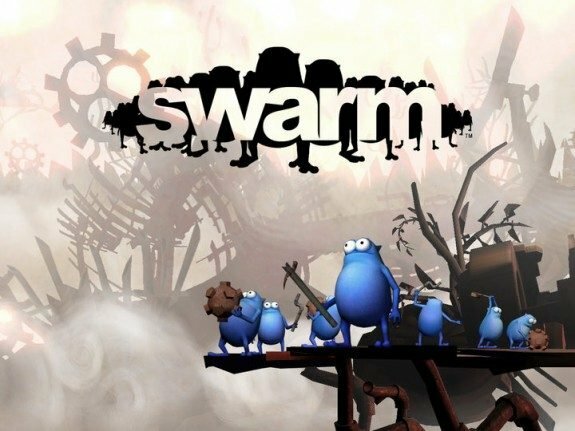 With just three game types and a small handful of similar feeling maps, the multiplayer outing this time feels just as shorthanded as the single player counterpart. In the end, the biggest problems for Dark of the Moon come across as just being too vacant. The campaign is criminally short with my first run clocking in at just over six hours, and after just a short afternoon’s worth of play you’ll have seen all there is to see in the multiplayer offering. Outside of gathering more achievements the single player outing offers absolutely no replayability, and even all of those can be gotten in one go by smart or well focused players. By my second day with the game I felt I had done everything there was to see with it. 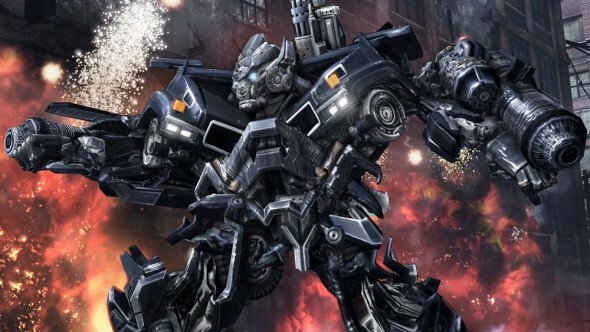 Just as with the movies, Transformers: Dark of the Moon is a nice way to kill an afternoon if you’re not expecting too much, but in the end will be forgotten and left as just an afterthought. Dark of the Moon is a solid albeit far too brief third person shooter, and while fans of the movies will appreciate the lead-in to the upcoming movie of the same name, at the end of the day you’ll just be left wanting more and not in a good way.